Tone Ghost Ether returns to the shores of Earth Mantra, this time with an absolutely delicious release somewhere in between the floating pure ambience of Condor Sail Curve and the sleek world fusion of Guard Lock Skin. Called The White Space, this is a mesmerizing collection of ambient pieces, but with a decided edge unlike any ambient you have ever heard. It is very hard to characterize this music, due to its refreshing originality. We can't really call it tribal ambient, at least not in the conventional sense of the phrase, but it is somewhat analogous in that the artists combine beautiful ambient sound sculpture of the highest order with trance-inducing hand percussion. But there is so much more to this music, combining elements from all sorts of musical styles. A B3-style organ even makes an appearance! Leave it to the masters to be able to combine such disparate parts into a seamless whole that sounds completely natural. This is a true gem, folks. For those not familiar, Tone Ghost Ether is a three way improvisational collaboration between musical virtuosos Brad Allen, John Tlusty, and Kit Watkins. Yes we said 'improvisational', for all the music you hear in this magnificent recording was composed and performed live, on the fly, and is almost completely untouched. What is most amazing about this trio is how perfectly their live performances blend with each other, very unlike any live improvisation we have ever heard. Genuinely astonishing work. 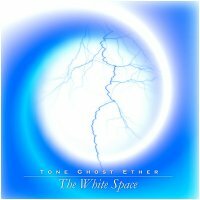 We are deeply excited to be able to bring you the music of Tone Ghost Ether on our humble little netlabel, and look forward to releasing more music by this gifted trio. We give this album our highest of recommendations. The White Space is one of my all-time favorites. The improvisational synergy of the trio is unbelievable. This album is very soothing. Some unusual sound without feeling alien. Download it!